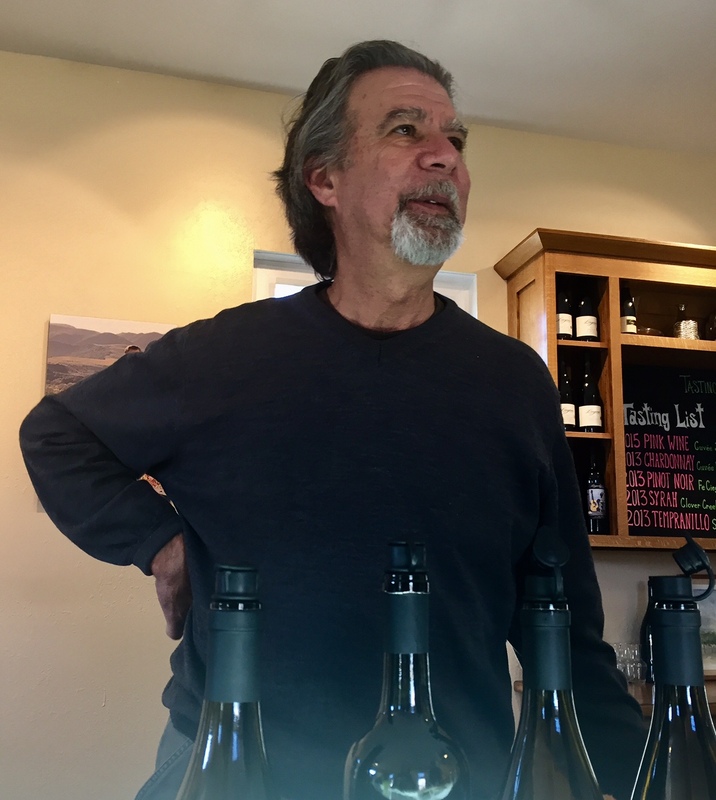 To call Rick Longoria, winemaker and proprietor of Longoria Wines, a pioneer with respect to Santa Barbara County would be a massive understatement. He settled in the area and started winemaking at a time when hardly anyone foresaw the level of success the wine region is seeing today—hardly anyone that is, except for him. The first thing you notice about Rick Longoria is his warmth. Despite the widespread respect he is paid by numerous winemakers for his influence on the development of the region and the acclaim his wines have received internationally, he is both wonderfully humble and very down to earth. 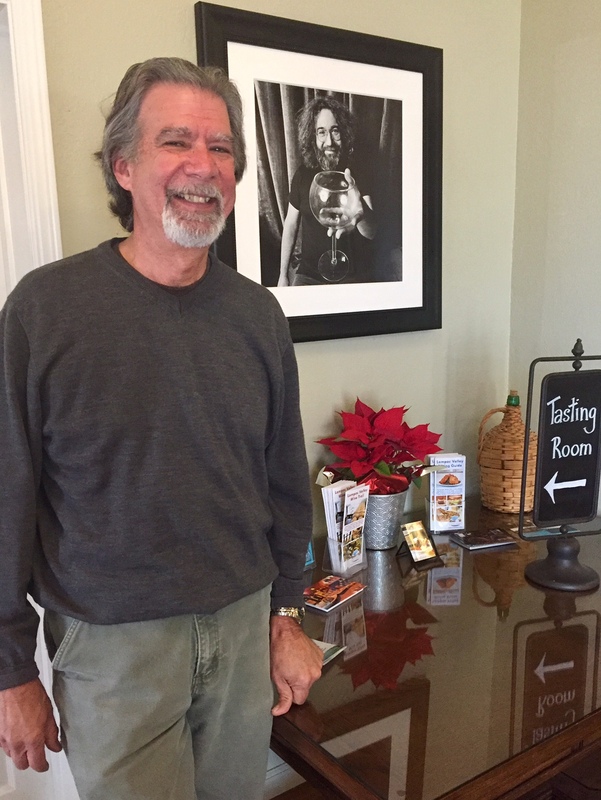 He welcomed us to his winery in Lompoc which was so comfortable and inviting we instantly felt as though we were having a glass of wine in the Longoria family living room as opposed to a tasting room. And, much like his personality, we discovered his wines to be balanced and approachable with a notable European elegance. 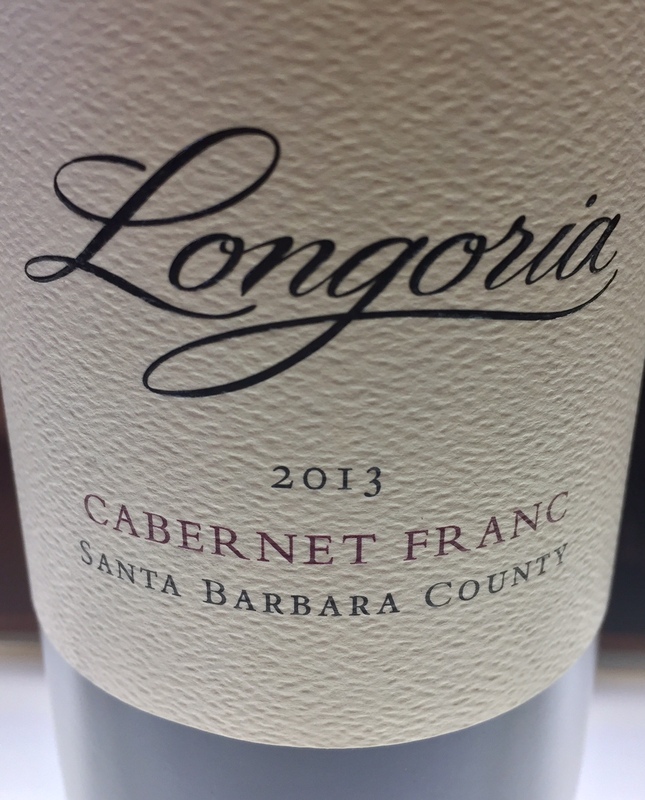 Longoria initially got into the winemaking business in 1974 working at a winery in Sonoma, two years before the “Judgement of Paris” blind tasting that put California on the world wine map. Because the Californian wine scene was still in its early developmental stage, the European model of winemaking had a very strong influence in the State. When he came to Santa Barbara County in 1976 to work for Firestone Winery and a few others, he had the sense that the wines were more European in style than anything he tasted in Sonoma. “The contrast in the geography, climate and really even the approach to the wine industry was so different in Santa Barbara County, my instincts told me that this is where I wanted to be.” He worked another year in Napa which solidified his desire to be in Santa Ynez making cooler climate wines and he has been there ever since. Seven years after first settling in Santa Barbara County, Rick’s experience in the region and his belief that it had the potential to produce world-class wine was enough for him to take the leap and start his own winery with his wife Diana. 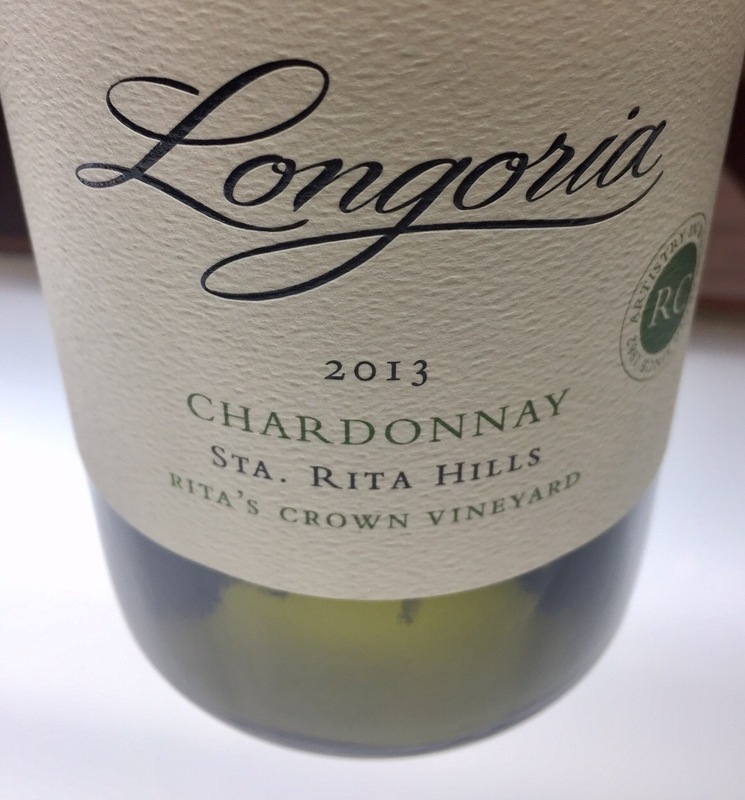 In 1982 Longoria Wines was established as the first winery in Lompoc and that year produced 500 cases of Chardonnay and Pinot Noir from the Santa Maria Valley vineyards. In 1998, Rick planted the winery’s estate vineyard “Fe Ciega” (pronounced fay-see-ay-ga), Spanish for “Blind Faith” which was also the first vineyard he had ever planted from scratch. “Blind Faith” was actually the vineyard’s original name which references both the act of faith with investing a lot of money and effort with no guarantee of return, as well as his love of music and an homage to the rock group of the same name. Unfortunately, the name “Blind Faith” was trademarked by another winery in California so he had to come up with another one. He liked the concept behind the name so much he looked at the French translation but settled on the Spanish version “Fe Ciega” because it had a nice ring to it and better suited the heritage of the region. The Vineyard itself sits on the western side of Sta. 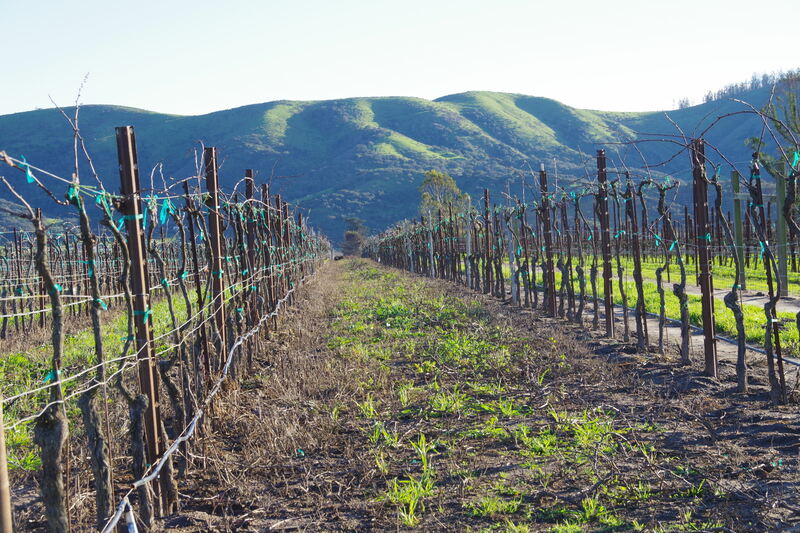 Rita Hills on a south facing slope with a natural elevation change providing for maximum sun exposure and allowing for consistently full ripening of the grapes. Rick initially planted 3 Pinot Noir clones: Pommard, Dijon 115 & 667, and ten years later in 2008 he planted the Mount Eden clone. The Fe Ciega Vineyard has become renowned as an exceptional site for producing outstanding Pinot Noir, not only because of Longoria but also because he sells some of the grapes to fellow winemaker Adam Tolmach of Ojai Vineyards. 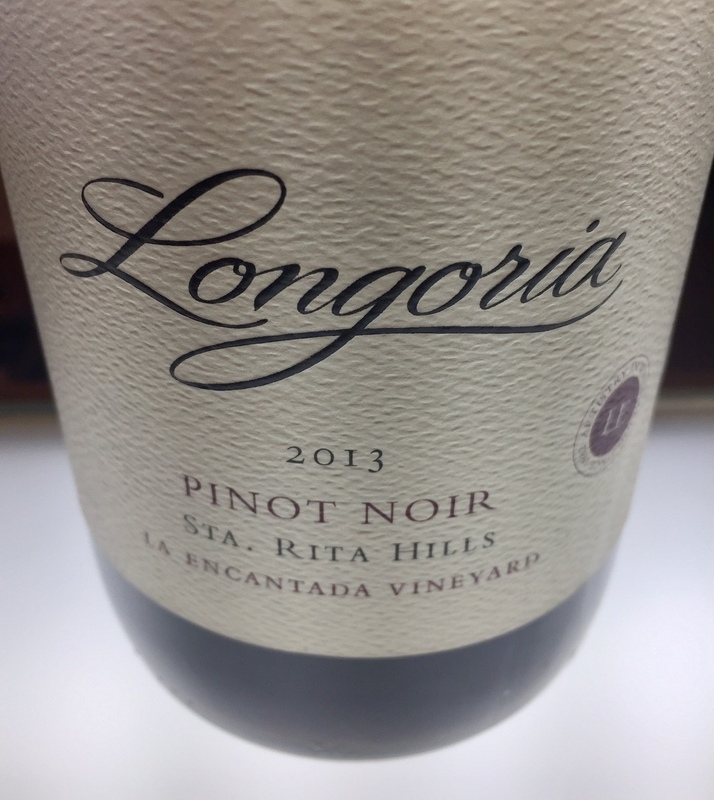 Both Longoria and Ojai Vineyard Pinot Noirs from this vineyard consistently receive 90+ ratings by wine critics worldwide. Rick seems to approach everything with that same sense of purpose. He purposely committed himself to Santa Barbara County more than 30 years ago and the result has been an incredible living legacy. 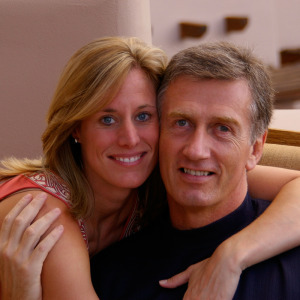 He is not only part of the group (along with winemakers Richard Sanford and Bryan Babcock) that helped make Sta. 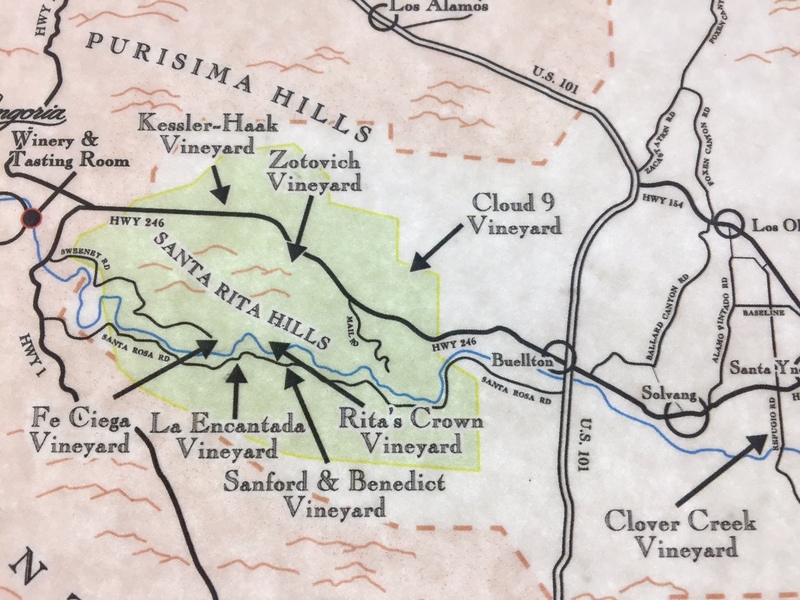 Rita Hills an AVA (American Viticultural Area), he has influenced countless local winemakers that are producing world-class wines. Today, we all get to reap the rewards of his Blind Faith every time we open a bottle of his wine. Made from a 1.5 acre block of Clone 96 Chardonnay that sits on a south facing slope of loam and clay. Medium gold in colour. Expressive nose of melon and green apple. Medium body with medium+ acidity. Citrus flavours join with the apple and finish with hints of almond. The wine does not go through malolactic fermentation and 15% sees new French oak during its 13 months in barrel. Some lees stirring shows and adds body and texture. Very refreshing. From the Estate-owned Fe Ciega, one of the jewels of the Sta. Rita Hills AVA, it is now 10 acres, 9 of Pinot Noir and 1 of Chardonnay. This wine has a lovely elegance to its medium body. Rick told us Fe Ciega is often described by other tasters as more masculine, but we were more impressed by its finesse rather than power. Dark cherry fruit mixes with baking spices, herbs and hints of pepper to give a feeling of precise balance. This wine shows potential for the cellar. This vineyard sits just south of Fe Ciega and was developed by fellow Sta. Rita Hills pioneer Richard Sanford and is planted to the Dijon 777 clone. Raised for 14 months in 25% new French barrels. Like the Fe Ciega there is lots of intensity and the dark cherry notes gain complexity from earth, forest floor notes and minerals. Once again there is that trademark Longoria balance. Ready now but likely to be on the upswing for a decade. Complex with a long finish. Another iconic vineyard in the Sta. Rita Hills AVA, it is also planted to the Dijon 777 clone. This wine was raised for 15 months in 39% new French oak. Intense cherry flavours and its medium+ body absorb the oak well and once again the wine shows a lovely balance. The acidity adds brightness and makes the flavours stand out. Forest notes combine with minerals to add complexity. Tasting it next to its older siblings, it shows the benefit of another year or two in the cellar. A few months earlier we had spent a week in Northern Spain tasting their best of the best. Was it even fair to taste a California Tempranillo against that backdrop? It quickly became obvious to us that Spain did not have a lock on all of the great Tempranillo. What was considerably less obvious is why more of this grape is not planted here. Bright cherry and raspberry flavours have a spicy edge to them. Medium body. We pick up hints of tobacco leaf on the finish. This is Rick’s first vintage of a 100% varietal Cabernet Franc and it is a winner. 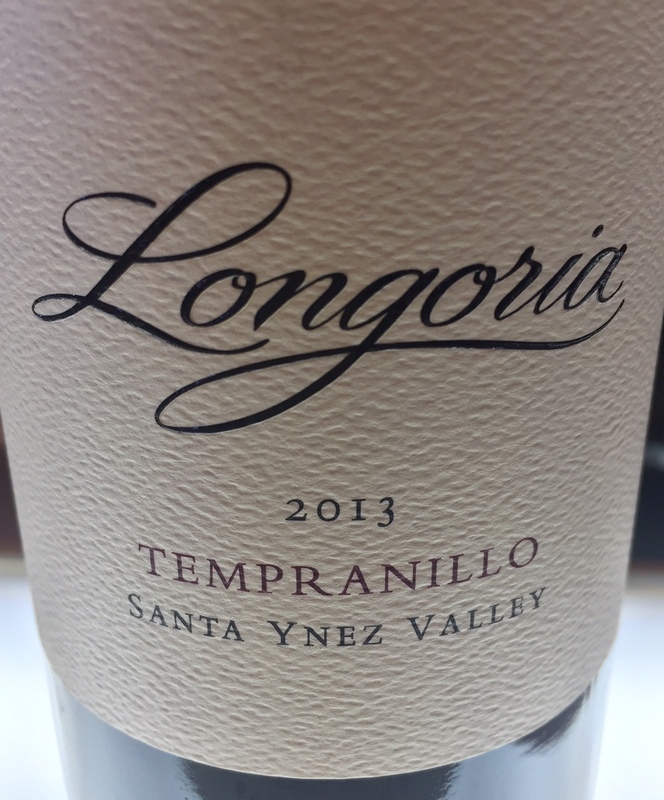 He has had long experience with this grape as it is the dominant variety in his Bordeaux blend he calls his Blues Cuvee (Blues Cuvee was what first attracted us to Longoria when we tasted it on our amazing AdVINEture to Utah). Medium dark red with a medium+ body and fairly firm tannin. 22 months were spent aging the wine in 58% new oak. Fruit was sourced 55% from the Camp 4 Vineyard and 45% from Alisios Vineyard. Dark red in colour, the aromas of black cherry, tobacco and other herbs greet your nose well above the glass. The palate is rich and smooth. The balance he was able to achieve with all of his Pinots is in full evidence with this wine as well. Give this one another couple of years on its side to bring out all of its potential. It sounds like you had an amazing visit. Rick Longoria is such an amazing winemaker. I love his “Lovely Rita” Pinot and his beautiful Albarino. I have had the pleasure of speaking with him and he is so humble and warm, just a wonderful spirit. I agree that his Balance as a human is a great part of how he creates wines with such balance. Thank you for sharing your experience Robin! We’ve been so lucky to meet such great people through this passion and Rick couldn’t have been more gracious with his time or wine.